So often we forget all the amazing things we have done, our many achievements. Most of us at some point will stop and wonder what we have done in our lives. Have you made a difference to someone? Have you created something beautiful? Have you learned to swim, to drive, to cook, climbed a mountain, earned a degree, learned to speak another language, given birth? Any of these are superb achievements and I am certain once you start to think about it you can create a list of your own. Here is a meditation to help raise your self esteem. Its important that we all feel good about ourselves. 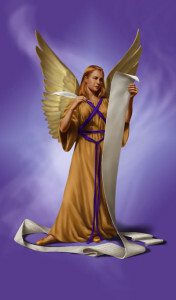 The angels love us unconditionally, can you honestly say that you do that for yourself? Allocate about thirty minutes for this exercise, lighting a candle or some rose scented oils or incense, switching off your phone and find a safe and comfortable place where you will not be disturbed. You might like to play some soft music. This is a visualisation but don’t worry if this is not something that comes easily to you, just go along with the exercise and use your imagination. Affirmations are repeated three times so that the mystical power of three sets the creative belief in motion. Sitting comfortably begin by breathing slowly and deeply several times. Breathe down into your lower abdomen and hold your breath for a couple of seconds, then release letting go of all the tension in your body. Imagine a bright light swirling into the room like a mist, and choose a favourite colour as the light gets brighter, surrounding you with its beautiful energy. Breathe the light into your body with each breath. Imagine filling every cell until it begins to seep through the pores of your skin. The light shines within you and surrounds you. You notice the colour of the light changing to a soft violet colour and moving in a circular swirling movement around your legs as you say to yourself three times “I am safe, and I trust my connection with the Divine light”. As the light swirls around your lower abdomen feel and engage with the energy of this beautiful positive violet light and say to yourself three times: “I let go of all past negative experiences that no longer serve me, I release all negativity thoughts about my self into the light”. The light now moves upwards and swirls around your neck and head clearing all negative thoughts and leaving only positive energy with you as you allow it to permeate through you. Thank the angel, yourself for taking part, and the energy of the light as you visualise the light fading and now leaving the room. Breathe slowly and as you release the out breath bring your energy back into your personal space knowing you are truly loved and cherished. Thank you Chrissie, I absolutely love this meditation, it is really powerful and wonderfully positive!